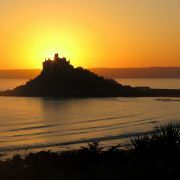 St Michael's Mount was said to have been built as a home by the giant Cormoran and his wife, Cormelian, who were said to have lived in the forest now submerged beneath Mounts Bay. They quarried the granite of which the island is formed and Cormelian was forced by her husband to carry the stones in her apron. When he fell asleep, she decided to carry the lighter greenstone instead, but he awoke and caught her. He kicked her, her apron strings broke and she dropped the greenstone. 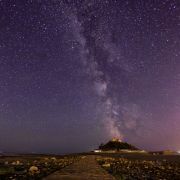 However, a piece of it is still to be seen on the causeway leading to the Mount. 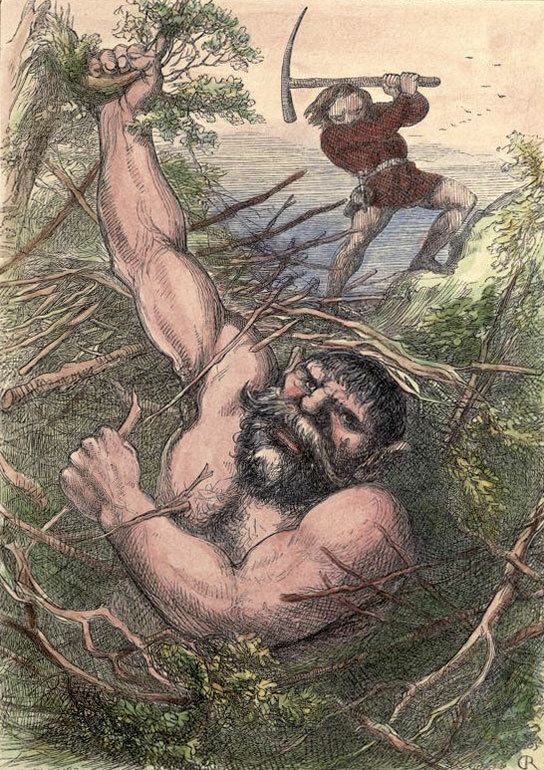 Cormoran was eventually killed by Jack the Giant Killer who dug a deep pit on the Mount one night and disguised it with a cover of sticks and straw. He blew his horn to waken the giant and Cormoran rushed out and fell into the pit, whereupon Jack beheaded his with an axe. 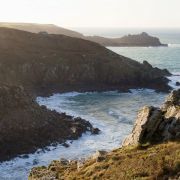 The huge boulders that litter the landscape in the west of Cornwall are said to be the remains of battles between Cormoran and another giant on Trencrom Hill, who continuously threw rocks at one another. 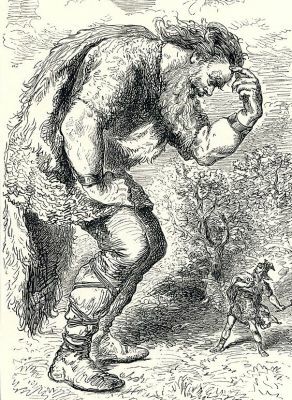 A kinder giant was the inhabitant of Carn Galver. 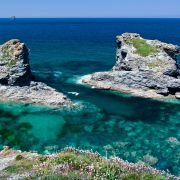 He was said to protect the villagers of Zennor and Morvah from attack by other giants in return for gifts of the occasional sheep or goat. He played quoits with granite boulders and rocked himself to sleep on a giant logan stone, which he built himself. 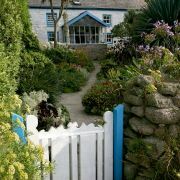 Yet another giant, Bolster, fell in love with St Agnes, a missionary. She spurned him, as he was already married, and became tired of his constant attention. She decided to get rid of him and told him he could prove his love by filling a hole in the ground at Chapel Porth with his blood. 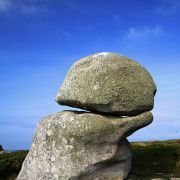 Bolster was happy to do this, as it was a small hole and he was a large giant – so large that he could stand with one foot on St Agnes Beacon and the other on Carn Brea. However, he did not know the hole led straight into the sea so he opened a vein and allowed his blood to flow into the hole; it flowed and flowed without filled the hole. Eventually the giant collapsed and died. The hole is still there and a red stain on the rocks is said to be where Bolster's blood flowed down.